OK, so after Tuesday, you’re probably expecting another humorous list. This, however, is an actual list of helpful hints to consider when you move. I’ve picked up these tricks during my 9 moves in the last 10 years. 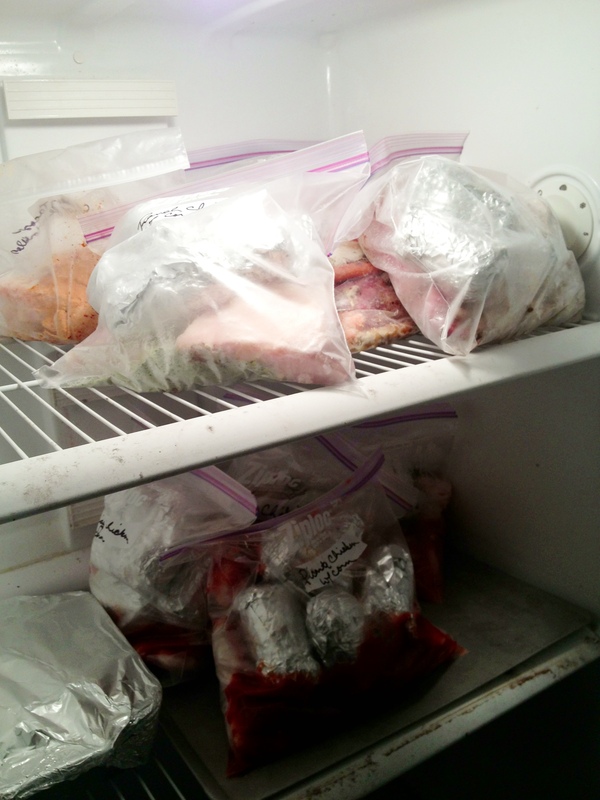 1) Create a whole bunch of crock pot meals. This way, you can pack everything else in your kitchen but your crock pot. It’s great to have meals while you’re packing and then again while you’re unpacking. It also serves as an excellent chance to clean out your pantry and freezer and use those items towards your meals. 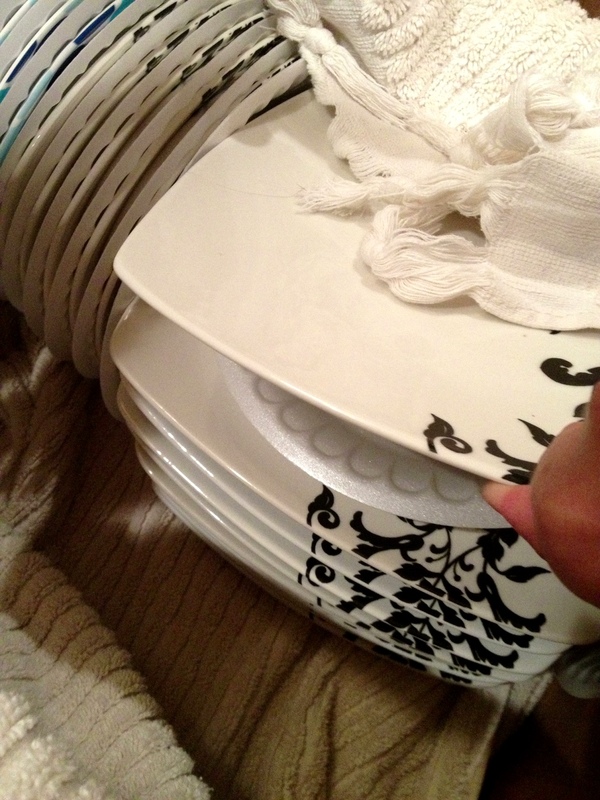 2) Use paper plates and such during this phase. 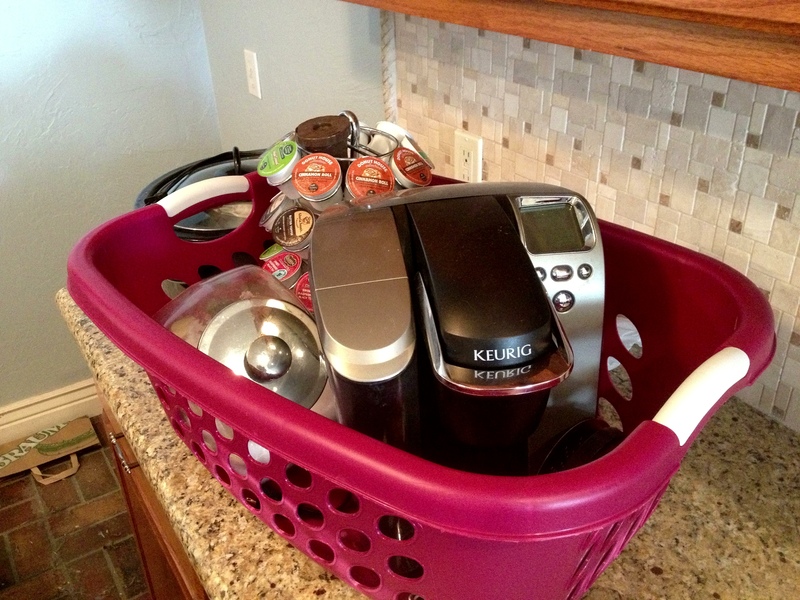 This keeps you from stalling on packing your kitchen. 3) Layer your plates between styrofoam plates. This is a trick I learned from my friend, Gale Permenter. This makes life SO much easier, because not only is it easy to pack, it’s a snap to unpack, and they’re perfectly protected. 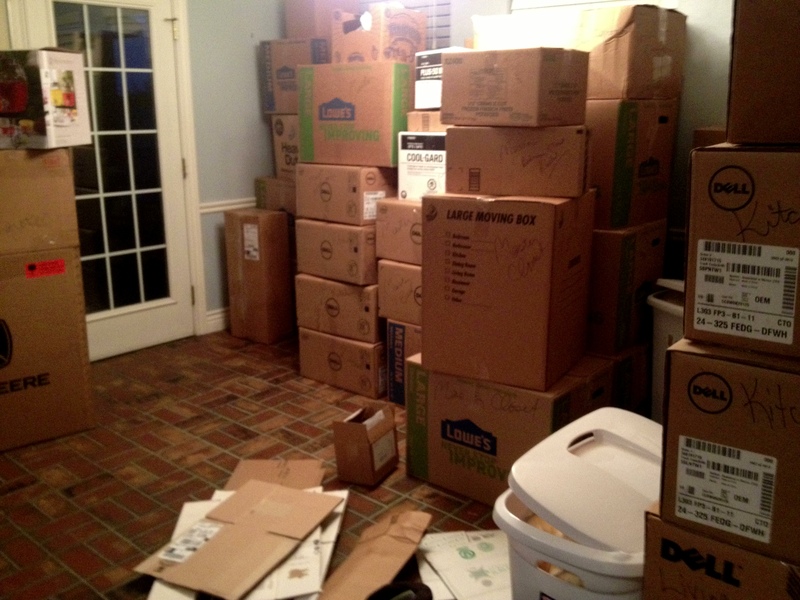 4) Put EVERYTHING in boxes. Leave nothing loose aside from furniture and hang up clothes. And really, I mean everything–small trash cans, items in drawers, large wall art, EVERYTHING. 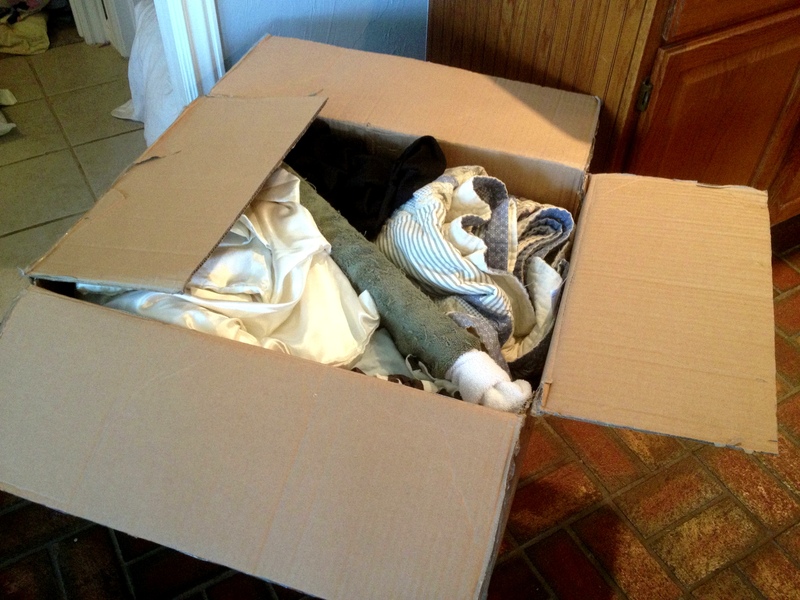 This box contains artwork that has been wrapped in bath towels and surrounded by other similarly wrapped items. 5) Get rid of your junk! 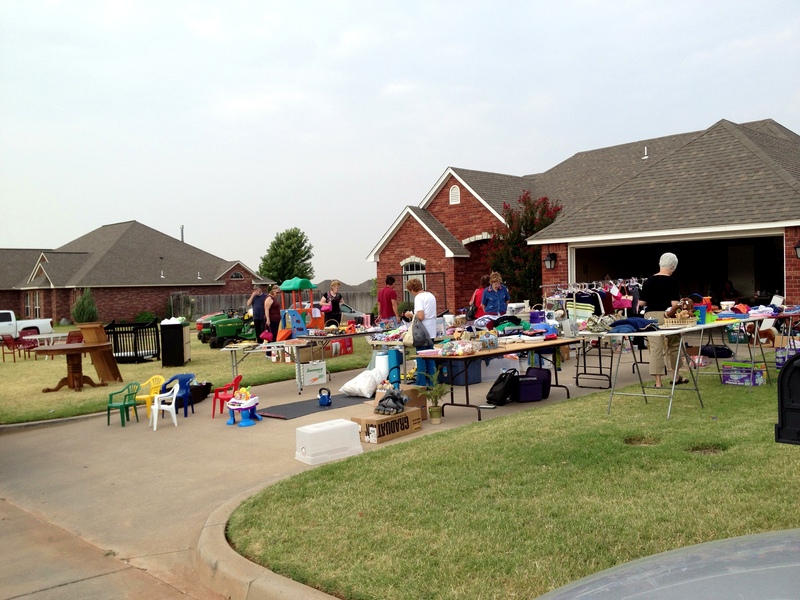 Have a huge garage sale, give it away, whatever you can. But since you’re going through it all right now as you box it, use this chance to purge yourself of all the unused clutter you have! 6) Worry less about labeling. The biggest thing is labeling which room each box goes to, and you might also create an “open first” box for each room. 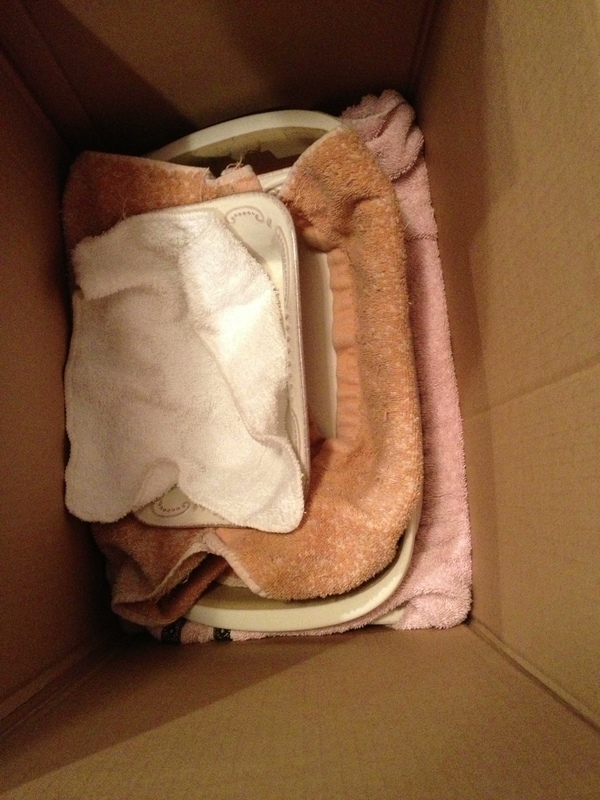 7) Use your towels and sheets when packing breakable items. Kill two birds with one stone, and pay less on packaging materials. 8) Leave no unused space. Meds can go inside a crock pot. Spices can go inside your bread machine. You get the point. 9) Have small children? 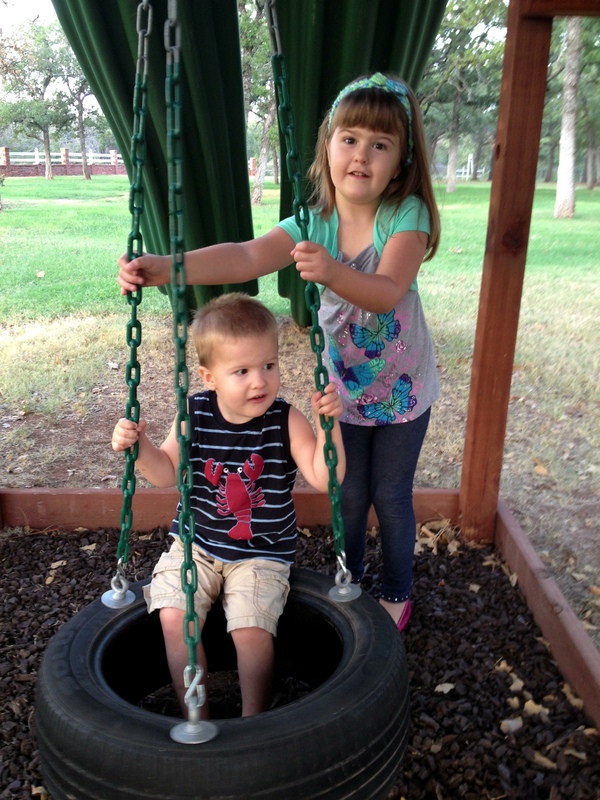 However you can, get them out of the house for moving day if it is humanly possible. 10) It is worth the cost to hire a mover. 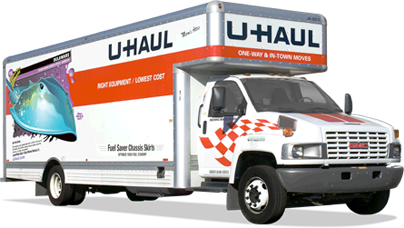 Ask your Uhaul company if they know any good, affordable movers; they usually keep a list, and that is usually more cost-efficient than hiring an actual company. 11) Things to pack LAST: Your cleaning supplies and vacuum cleaner. That way, you can vacuum and clean before you leave your old house… and then before you move into your new house. Anyway, I hope something in all of this is helpful. Happy packing! Your turn: what packing tricks have you learned? You have become such a pro. I really hope you don’t have to move again for many, many years. One other thing we did with the clothes in our closet was leave them one the hangers. We would use cheap trash bags like garment bags. (tear a hole in the bottom and tie the bottom) It saved time later. I tried to but books in suitcases to save our backs. We usually just did that for short moves. Not sure how well it would work for a big move. Ps. Love the crock pot idea! Load the beds last so that you can unload them first and assemble them while everything else is getting unloaded. This is my must every time I move. We love your blog and will be featuring one of your posts on this week’s social media campaign through our facebook, pinterest, twitter, and google + pages. Thank you for your helpful tips and we want you to know that with your creativity we are able to share fun ideas with our clients as well as get you more followers. Keep up the good work. Really good ideas! I wish most of the people would take moving so serious! Thanks for sharing! Greets, London Removals Ltd.
We use plastic bags in between plates. We also use masking tap on the boxes and bins that we label with what is inside. As a military brat, one moving tip we always used, is to purchase a large trash can before we moved. Place all the beddings and pillows in the new trash can. It will be instantly identifiable when it comes off the moving truck, and you can easily make your beds for that first night in the new home! And Bonus, you have a new trash can! When I move I pack a “1st day box@. Sheets, towels, jammies, small emergency kit, toothbrushes & toothpaste, bar of soap, travel shampoo and conditioner and a cheap shower liner with hooks from a dollar store. That way at the end of a long moving day you can relax in a nice shower and have a great sleep!